Mitsubishi Motors Corp has started developing an electric light truck that it expects to launch in fiscal 2012, Japanese business daily Nikkei said. The automaker's third electric vehicle, which will allow users to recharge its battery off normal household power outlets, will be targeted at farmers, contractors and others who use light trucks for their work, the paper said. 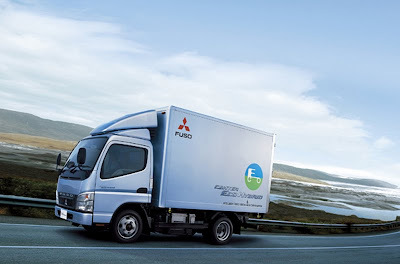 Mitsubishi Motors, who already sell a Fuso Hybrid truck, is looking to sell 42,000 electric vehicles worldwide in fiscal 2012, double the number projected for this fiscal year, the Nikkei said. The company aims to keep the effective sales price of the electric truck after government subsidies at less than 1.5 million yen ($19,200), making it cheaper than its two existing electric vehicles, the newspaper said.